Anderson County’s newest dispatchers graduated from the Communications Deputy Training Academy on Friday, January 27. The new communications deputies are Tiffany Haines, Amy Purkey, and Brittany Streetman. They have spent the last 10 weeks in an intensive training program to prepare them to answer the call for help from citizens, dispatch the appropriate emergency responders, and render life saving medical care until those resources arrive, a press release said. 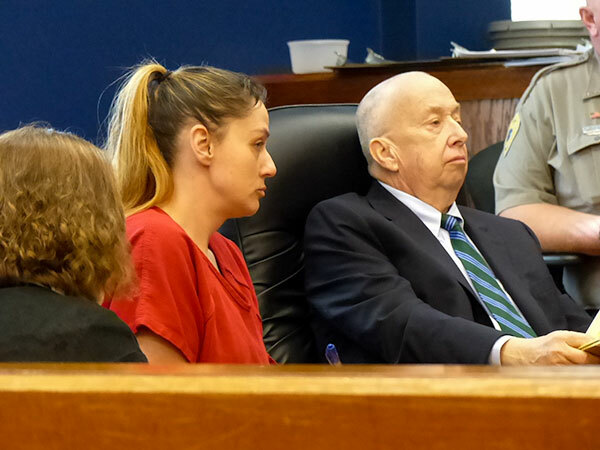 CLINTON—Tennessee Highway Patrol troopers testified Thursday that a driver charged with vehicular homicide smelled of alcohol and said he had been drinking and had taken two anti-anxiety pills before a two-vehicle crash on Clinton Highway in April that resulted in the death of a 23-year-old Heiskell woman. There was a half-empty bottle of whiskey found between the driver’s seat and the rocker panel of the 1993 Eagle four-door sedan, according to testimony by a crash witness and THP Trooper Isaiah Lloyd, the lead trooper in the investigation. Lloyd testified that he saw a glass marijuana pipe with residue in the center console of the car, a marijuana joint inside a prescription bottle, and at least six beer cans on the passenger floorboard of the car, although it wasn’t clear if the cans were empty or full. The THP said Scott Gray, 26, of Knoxville, was driving north on Clinton Highway in the Eagle sedan near Mehaffey Road on Thursday evening, April 28, when he turned into the path of a southbound 2015 Jeep Grand Cherokee sport utility vehicle driven by Kimberly Williamson, 32, of Knoxville. The SUV driven by Williamson hit the car driven by Gray. The passenger side of the Eagle had significant damage, and passenger Jessica Miner Taylor, 23, of Heiskell, was trapped and critically injured. After she was extricated, she was flown by a Lifestar medical helicopter to the University of Tennessee Medical Center in Knoxville, authorities said. She was immediately taken into the operating room because her bladder was torn from the crash, Lloyd said in arrest warrants filed in May. Gray was taken by ambulance to UT Medical Center the day of the crash. Williamson had minor injuries, and she was taken in a personal vehicle to Tennova North, where she was treated and released, authorities said earlier. CLINTON—Anderson County officials could ask for a one-year extension of the lease on the General Sessions Court, Division II, in Oak Ridge. The current lease expires at the end of the year, on December 31. The county has an option to renew the lease for five years from January 1, 2016, through the end of 2021, but it’s not clear if officials want to do that. There are questions about whether they want to keep a courthouse in Oak Ridge, particularly if the City of Oak Ridge is not providing financial support. But if Division II court does stay in Oak Ridge, there is a question about whether it should remain at the current location at the former Oak Ridge Utility District building on Bus Terminal Road. The Clinch Bend Chapter National Society Daughters of the American Revolution will have its annual Constitution Celebration during a fall meeting on Saturday, September 13, in Oak Ridge. The guest speaker will be Anderson County General Sessions Judge Don Layton. He will our constitutional rights since 9/11, a press release said. Refreshments will be served. The meeting starts at 1 p.m. September 13 at St. Stephen’s Episcopal Church in Oak Ridge. For more information, call (865) 945-5605 or visit http://www.tndar.org/~clinchbend/.